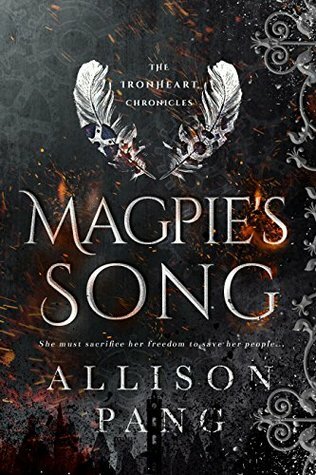 Magpie's Song has everything you'd expect from a book of this ilk: plucky heroine, potential love interest, danger and adventure. I liked the steampunk elements built into the dystopian fantasy world and, on the whole, the description of that world came across well. I did scratch my head over a few things, but this is the first story in a series, so it may well be that Pang will answer those questions in a future book. I am awarding this four stars, though I prevaricated all last night over whether to give three or four. I loved the world building and the plot idea; however, I never really connected with Maggy as much as I would have liked, and I also had a few issues with the later subplot that seemed tacked on to the main story without purpose. That said, perhaps it will become more relevant in future books in the series, so on that basis, I've gone with four stars. I would certainly be willing to read more of this story and it will definitely appeal to fans of this genre.